You are here: Home \ Newsroom \ Reviews \ Samsung Galaxy S9 and S9+: What do the reviewers think? Samsung Galaxy S9 and S9+: What do the reviewers think? Speculation regarding what the new Samsung Galaxy S9 and 9+ might offer was rife in the run-up to its unveiling last month – and the manufacturer was certainly keen to satisfy the hype. 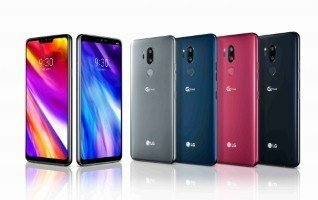 Indeed, the handsets were billed as devices that "reimagine the way we communicate, share and experience the world", as they are "made for the ways we increasingly communicate and express ourselves with images, videos and emojis". Featuring what Samsung says it is most advanced camera yet, the handsets offer a new dual aperture lens and an innovative low-light camera, as well as Super Slow-mo video capabilities and personalised AR Emoji functionality. But what do the experts think? Do the Samsung Galaxy S9 and S9+ live up to the huge expectations? Views on this appear to be mixed, with TechRadar, for instance, noting that while the S9 has a "seriously impressive" camera, it has "more than a passing resemblance" to its predecessor – the Galaxy S8. Since the earlier handset is now "considerably cheaper", TechRadar believes it makes the S9 "slightly harder to justify", especially as it is "not all that different". "If you're looking for something that's a little different on the market right now, the Samsung Galaxy S9 is not it," TechRadar observed, but it stressed that it is nevertheless "an excellent smartphone". 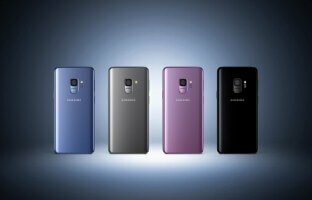 T3's opinion of the Galaxy S9+ was broadly similar, stating that while it "sets a new benchmark for super-sized Android phones", it is not actually very different from last year's model. 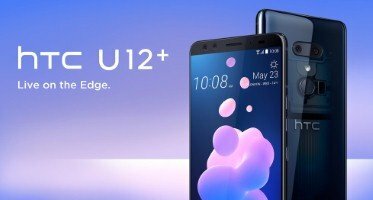 The handset was described as "the most powerful and elegant big phone in the world" and "technically, the best phone Samsung offers", as it offers all the features of the Samsung Galaxy S9 and then "throws in some extra RAM and a 6.2-inch version of that drop-dead gorgeous Super AMOLED 18.5:9 display"
However, it said interested customers will "need to be a screen-space aficionado or someone with big hands to fully justify its purchase", especially as it is pricier than the S9. These views were widely reflected among forum users at Android Central. For instance, a person posting as NJ Fred said they were "done chasing the Holy Grail – – especially over minor improvements that amount to a handful of air when analysed objectively". "Keeping Up with the Jones's gets ridiculously expensive after a while," the poster commented. "My S8+ meets my needs." Similarly, cindylike24 said she is not going to upgrade to an S9 just yet, as "it doesn't seem like there's that much of a difference between the S8 and S9 (regular)". "I'm still happy with my S8," she continued. "It fits nicely in my hands [and] still meets the needs I have for a phone." By contrast, JHStewart1023 said they plan to upgrade to the Galaxy S9, as they are "kinda excited about the new camera features and the new Snapdragon chip personally". Meanwhile, tuscanybay said they are going to upgrade from the S8 to the S9+ "for the full featured dual camera, and the longer battery life". The verdict appears to be that while there are slight improvements on the previous iteration of the Galaxy S range, those who are happy with their existing handsets might very well be happy sticking what they have, until more significant upgrades are offered in the future. But for those who feel they do want to upgrade, they can be confident of getting a handset that offers the range of features and reliability that one has come to expect from Samsung and the Galaxy S brand. 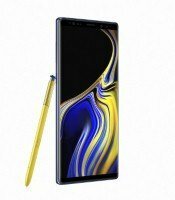 Samsung Galaxy Note 9 – what do the critics think?